Looks like my rug that my husband bought me back in the early 1980’s. You can view it one my pinterest site. It is my most favorite rug in my collection of vintage and collectible rugs. 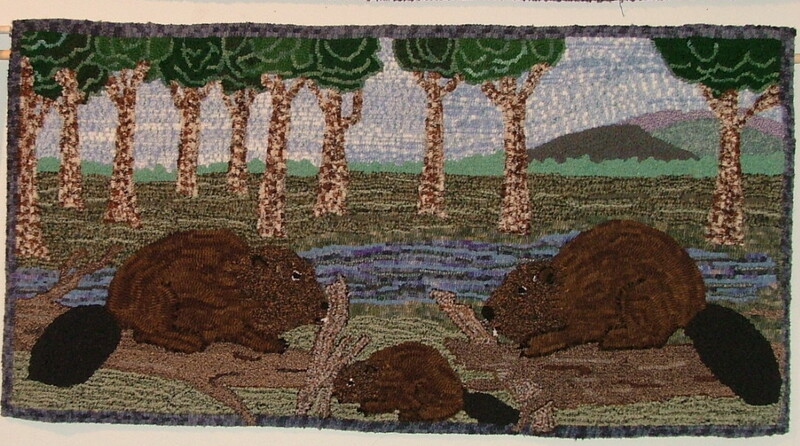 The beavers are identically placed but your background is changed.